Action: Cardiff City (blue) v Crewe in an under-23 clash. 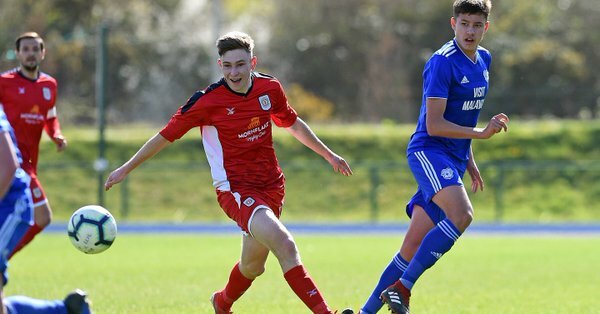 The young Bluebirds suffered a first defeat in five Professional Development under-23 League fixtures when they were beaten 3-1 by a strong Crewe Alexandra side. All three Alex goals at Cardiff International Sports Campus were scored within the opening 10 minutes of the game. Under-23 action: Bluebirds v Crewe. Pic: Cardiff City FC. Under-23 action: Bluebirds v Crewe. Pic: Cardiff City.